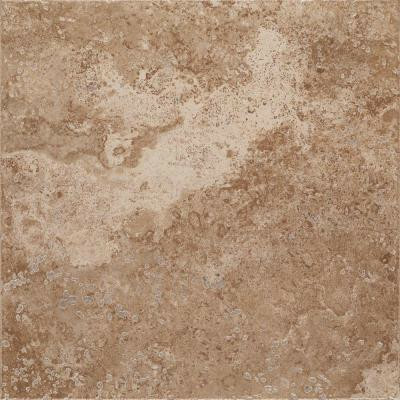 This MARAZZI Montagna Cortina 16 in. x 16 in. Porcelain Floor Tile features random tonal variation, utilizing different textures and veining to capture the look of real stone. The smooth finish and warm color serves to complement any interior, from more traditional to modern decor. The tile offers some slip resistance and high resistance to abrasion for heavy-duty floors, while the impervious nature of the tile means that it is frost resistant for use indoors or out for added flexibility. Coordinate with field tile and trim of your choice for whole wall or floor coverage. You can buy this product in our internet market. We will be glad if you make the right choice. 15.5 square feet per case, 9 pieces per case. Case weight is 74 lb. Completely frost resistant for Indoor or Outdoor applications. Use a latex modified thinset for acceptable bond strength.